Is this a success for the meat industry? Current rules ban meat from "downer" cows, which are too weak or injured or ill to stand on their own when they arrive at the plant. In the recent Hallmark case, cows were apparently on their feet when they arrived at the plant, but collapsed before slaughter. They were supposed to be reinspected by a veterinarian, who would determine if they could be slaughtered, but this was apparently not done. Such cows may carry a heightened risk of "mad cow disease," and even if they are free from that affliction, their bodies may now be contaminated with other pathogens. Public interest groups recommend that such cows simply be banned from the human food supply. USDA sided with the meat industry's lobbyists, who opposed this recommended ban. Why would the meat industry even want a headline that says, "USDA Rejects 'Downer' Cow Ban"? Surely, only a small fraction of cows are healthy enough to walk through the plant gates but later collapse. In the midst of a crisis of public confidence in USDA oversight of the meat supply, this headline will confirm to most readers that USDA lacks the power and willpower to protect us and our schoolchildren. The headline strikes the same odd chord that readers will recall from earlier articles about USDA's action to prevent Creekstone Beef from voluntarily testing its own meat for the pathogen that causes "mad cow disease." The meat industry's lobbyists and USDA officials do not serve the industry's hard-working cattle producers and meat processors well with this decision. Befuddled, I can only imagine there are perverse incentives for the lobbyists to take extreme positions that heighten their reputation as street fighters, even in situations where statesmen capable of crafting policy compromises and winning back consumer confidence would serve the industry's own interests better. Here is some very local food, as local as the tree 10 yards from the second floor home office where I'm typing. For fun, my wife and kids ordered equipment online and tapped the maple tree in our back yard this week. We think it might be a Norway maple, which isn't quite as good as a sugar maple, but still good enough. We boiled about five gallons of sap on our kitchen stove, to get about one cup of syrup, about half of which was heavy with sediment. If we decide to do it better, we'd need a more precise candy thermometer and some straining cloth. Going further, my irrepressible partner asked the town if we could tap some sugar maples on public land nearby (no) and set up an open fire in our backyard (no). Still, it's fun to participate in this ancient seasonal ritual. And the little I got sure was tasty over home-made ice cream. For bedtime reading, the kids and I are enjoying The Sign of the Beaver, by Elizabeth G. Speare. This excellent children's novel describes the cross-cultural friendship between two boys on the 18th century Maine frontier. My kids recognize many things in the story from their own experience: hiking, tracking, trying to identify edible plants, chewing spruce gum (which they didn't like), losing fishing hooks, and now making maple syrup. Next, we'll have to have them kill a bear on their own. Two national scholarly associations that cover U.S. food policy issues have greatly stepped up their level of collaboration and coordination. The American Agricultural Economics Association (AAEA) and the American Council on Consumer Interests (ACCI) have merged their main annual meeting this year, in Orlando, July 27-29, 2008. They are exploring possible options for confederation in the longer run. The AAEA has a subgroup or "section" for members with particular interests in Food Safety and Nutrition. If you have any suggestions for the best scholarly article published on food safety and nutrition topics, please send your nomination to be considered for the section's annual journal article award (.pdf). The section is jointly sponsoring with ACCI a couple promising conference sessions at the Orlando meeting. With colleagues at ACCI, I helped organize the one entitled "Hard Hitting and Well Informed: A Conversation Between Food Safety Policy Advocates and Researchers." It will bring together leading national policy advocates from Consumers Union and the Consumer Federation of America for a conversation with researchers on some of the same topics. At the same conference, the ACCI's prestigious Colston Warne Lecture will be given by Michael Jacobson of the Center for Science in the Public Interest (CSPI). The AAEA's keynote lecture has been combined with ACCI's prominent Esther Peterson Consumer Policy Forum, which will be given by UC San Diego economist James Hamilton, who offers insight into the interaction between petroleum markets and food markets. Until recently, I admired a contemporary politician for his eloquence. Now, in a news story that may have been encouraged by his political opponents, I am told that some of his greatest phrases were stolen. It reminds me of another speech maker. During a speech in Memphis on April 3, in a year not too far past, the earlier speaker borrowed without attribution from Exodus and the nineteenth century poet Julia W. Howe. In the closing words of that speech, he reflected hopefully on the progress we have made as a nation toward healing our most frightful divisions. Somewhat morbidly, he also spoke as if he expected soon to die. I was moved by this wedding of hope and sober mortality. And so I'm happy, tonight. Mine eyes have seen the glory of the coming of the Lord!! We no longer tolerate borrowing and reinterpreting the words of others. We now expect all eloquence to spring forth each morning anew and without history. This unrealistic expectation is unwise. Martin Luther King was assassinated the next day, in Memphis, on April 4, 1968. [Update: edited slightly Feb. 20 to remove sarcasm]. Jack from Fork & Bottle, a regular correspondent here, is not impressed with the recent meat recall. He points out a link at the daily green, reporting that Consumers Union has had difficulty finding out from USDA where the recalled meat was sold. So, how is that not a symbolic recall? And again, what is actually being recalled from 4-24 months ago? Out-of-your-stomach? If consumers are unlikely to ever learn if meat they purchased (or ate a restaurant) is part of this recall, how can you even call it a recall? 1) It can't be 147 million pounds or anything like it, as more than 4/5 of it has been consumed already (if not more). 2) For any other product recall, consumers are told what products they were (and if not obvious, where they were sold). So, doesn't this fall more into the category of a Fantasy Warning? 3) Is it ridiculous of me to await corrections, like, "Huge Beef Recall is Secretive and Much Smaller than USDA stated."? And how consumers are continuing to eat this meat, despite the "recall"? USDA ordered the largest meat recall in history, after further investigation showed that the Hallmark meatpacking company sold meat from "downer" cattle that were too sick to stand, according to reports yesterday in the Washington Post and elsewhere. All of the meatpacker's products for the past two years, 143 million pounds of meat, were recalled. Most of it has already been eaten, including by school children served the beef as part of the National School Lunch Program. 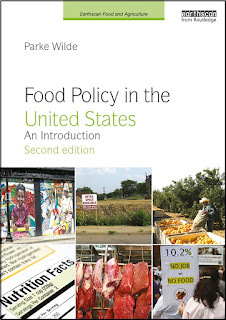 U.S. Food Policy earlier discussed the Humane Society video, which first exposed the practice. A later post linked to the response from Hallmark officials, who seemed surprised at the public scrutiny of their record. The meat was recalled because Hallmark failed to have all downer cattle evaluated by a veterinarian. This evaluation is important because of concern that the cattle might have bovine spongiform encephalopathy (BSE) or "mad cow disease." Mad Cow Disease is a particularly distressing dilemma in food safety policy, because it combines a very low incidence with a devastating potential health outcome (in some cases in the earlier outbreak in the United Kingdom, death, perhaps years after exposure). I imagine that, if they could be compelled to release their own honest guess, most meat industry experts and government officials would put the probability of a BSE outbreak in the United States above zero but less than 5 percent. Honestly, my own guess for this probability is only a little higher. The place where reasonable people differ greatly is whether stronger safety measures should be taken in this deeply uncertain setting. If the risk of an outbreak is fairly small, and the consequences devastating, why do industry organizations resist broader testing for BSE? Currently, only a sample of cattle is tested. It seems implausible that the cost of the tests themselves is really the hurdle, though that is what some claim. Perhaps, industry officials suspect that there really are a handful of living BSE prion carriers in the U.S. cattle population, and the cattlemen don't look forward to the news reports when they are uncovered by testing. Perhaps they prefer to hope that current practices suffice to let the exposed cattle die off. You may be surprised that USDA reacted with a record-sized recall, given that officials do not really believe the meat is very dangerous. The Department was caught in a jam created by its own past positions on BSE. USDA says that universal testing of cattle for BSE is economically infeasible and unnecessary, because current practices such as the veterinarian inspection provide assurance that BSE-infected cattle cannot reach the human food supply. USDA officials knew that, if they failed to handle the Hallmark recall by the book, the public would question their commitment to all of the handling practices required for BSE prevention. It was that bigger threat to public confidence in the national meat supply overall that forced the hands of the USDA officials this week. Last month's second attempt by the New York City Board of Health to require menu labeling in chain restaurants with 15 or more locations is the subject of a suit by the New York Restaurant Association. Okay- not surprising, you say. Of course a restaurant association would oppose the new rules--they stand to lose business if customers are actually aware of the number of calories in many of their popular menu items. Except that the author of an affidavit in support of the restaurants' suit was filed by Dr. David B. Allison, the new president of the Obesity Society, an organization concerned with addressing obesity. The argument made by Dr. Allison is that customers may not actually reduce their calorie intake because of the information obtained via menu labeling. In fact, Allison says that they may actually increase their calorie intake with this knowledge--"by adding to the forbidden-fruit allure of high-calorie foods or by sending patrons away hungry enough that they will later gorge themselves even more," according to the NYTimes. So if the concern is that the required menu labeling will not actually decrease business at the restaurants covered by the rules, why is the Restaurant Association suing to block the requirement? And why did they pay Dr. Allison to write the affidavit. Obesity Society members have reacted in opposition to Allison's statement, releasing one of their own. According to the NYTimes, Allison's other industry ties have included advisory roles at Kraft, Coca-Cola and Frito-Lay. My two children and I enjoyed a number of evenings recently with Salamonie Farm, by Noah Hershberger, as our bedtime reading. It is a fictionalized account of a year in the life of a six-year-old boy and his Amish family in Ohio the 1950s. The book carries its Amish themes with a perfect understatement. It had never occurred to me that, when one lives without electricity, ice cream must be a winter treat. By the time the boy visits a non-Amish neighbor couple in their kitchen, the reader shares the boy's interest in the refrigerator. Somewhat from the same literature as the Laura Ingalls Wilder books, Salamonie Farm gently teaches about life on a farm and in a pious religious community, but also more roughly teaches about sibling rivalry, fear of strangers, bullying, and the hard economics of manual labor, including child labor. I promised earlier to tell you about my five-year-old daughter's questions about vegetarianism. She has been hitting us with a patient steady inquisition for weeks now. In one chapter of Salamonie Farm, the family cooperates with neighbors to slaughter a hog and a cow. My kids were especially interested, because they had recently seen for themselves how sausages were made. The moral of the chapter was supposed to be that the wise father's respectful but practical attitude towards the slaughter compares favorably to that of a couple of neighbor boys, who mistreat animals. But my daughter wasn't buying it. Didn't the Dad laugh, she asked, when one of the workers pinned the pig's tail on another. It didn't seem to my daughter to meet the Dad's own standards of respectfulness. In just partly related news, our family is giving up meat for lent. We will eat eggs and dairy products, and I think my son will still eat meat with his school lunch. I'll let you know how it goes. Today is Ash Wednesday in several Christian traditions. My review of Michael Pollan's influential book, The Omnivore's Dilemma, appeared this month in the American Journal of Agricultural Economics. Should a serious agricultural economist read this popular and entertaining book about food? The organizing frame—a "natural history" of four meals ranging from a McDonald's cheeseburger and fries in a moving car to a leisurely dinner of wild mushrooms and wild pork hunted by the author himself—could strike a reader as contrived. The supposed narrative climax, the forest hunting and gathering of the fourth meal, reads like a new-age testament: "For once, I was able to pay the full karmic price of a meal." Food journalist Michael Pollan offers the modern efficiency-minded agricultural economist a sensible warning, right up front in the introduction, not to read this book: "Many people today seem perfectly content eating at the end of the industrial food chain, without a thought in the world; this book is probably not for them." I read the book in the summer of 2006. The Washington Post today followed up on the animal mistreatment story last week. Hallmark company officials had previously claimed this was an isolated incident, and that there had been no previous examples of such abuse under current management. It turns out, however, that the company "was cited in 2005 for several animal welfare violations, including 'too much electric prodding.'" "We certainly wouldn't have failed to disclose that if we knew it was in the public record," he said.